We’ve teamed up with NobleOak Life insurance! 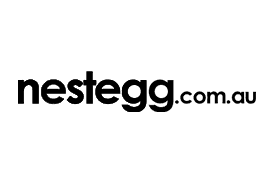 NESTEGG community members receive the first month cover FREE if applied before 31 July 2017**. Call NobleOak on 1300 108 490 and mention “NESTEGG” to claim this offer. There’s a confidence that comes from knowing you’ve made the smart choice. When you know that you’ve received real value by combining the best quality with a better price. That’s the way it is when you choose NobleOak Life insurance. NobleOak offers outstanding personal service and lower premiums thanks to no adviser fees – and their tailored and fully underwritten cover means there’s no surprises later. You can apply for up to $15 million of cover for death and terminal illness, without having to go through a financial adviser. That’s much higher than most direct insurers. NobleOak doesn’t pay fees or upfront commissions to advisers and they don’t invest in expensive marketing or large corporate overheads. That means you’ll save 20%* on average compared to other insurers. NobleOak takes the time to get to know you upfront, so your cover and premium are tailored for your circumstances, giving you more certainty at claim time. In a recent independent survey, NobleOak achieved a market-leading 98.5% satisfaction rating, with 95% of clients stating they would recommend us to others#. No one likes filling in long forms. That’s why NobleOak offers an easy application process over the phone. If you or your family make a claim with NobleOak, you’ll be dealing with a friendly, Australia-based claims consultant from start to finish. NobleOak is here to make the process easy for you. The first month free offer is available if you apply for cover before 31 July 2017. If you apply for cover before 31 July 2017, you will not start paying premiums until one month after the commencement date of the cover. This offer is available once only per new customer. #April 2016 client survey by Pureprofile.